If you are looking for retractable patio covers that will enhance the features of your Southampton, New York, backyard space, turn to the shading experts at Sunesta. We have assisted homeowners with custom made shading solutions since 1981 and our products can conveniently help you achieve sunlight when you want it and protection from the intense rays when you don’t. Additionally, we provide a unique SmartCode‚Ñ¢ number with all of our products so that we can expertly assist you in the future. This way, if you ever need to contact us for assistance, even years down the road, we can easily locate the exact dimensions and specifications of your shading product to easily help you with whatever you may need. 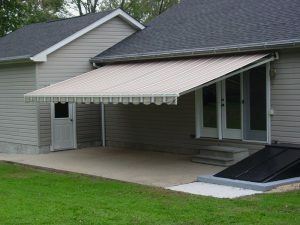 For more information about the patio covers available for your home in Southampton, NY, or a surrounding area, contact Sunesta today at 1-800-SUNESTA. All of our products are custom made at our United States based manufacturing facility.